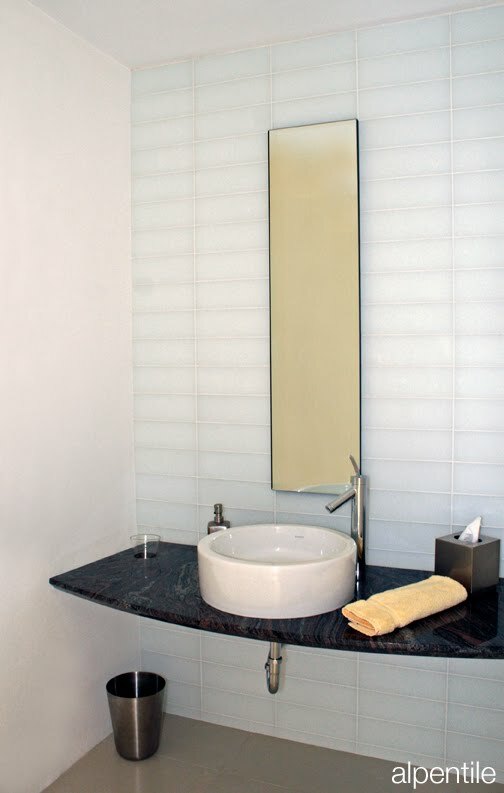 Pictured here: A feature wall of white painted-back glass tiles. The glass surface is etched, creating a matte finish and soft texture. A nice detail in this glass tile installation is the faint shadowing around each tile, caused by reflected ambient light.